POSTER CORRECTION: I corrected the Silver Dollar Show in Jackson, Wyoming. I play on July 2nd! I also added two dates: one in Silver City, New Mexico and Alpine, TX. Thank you! 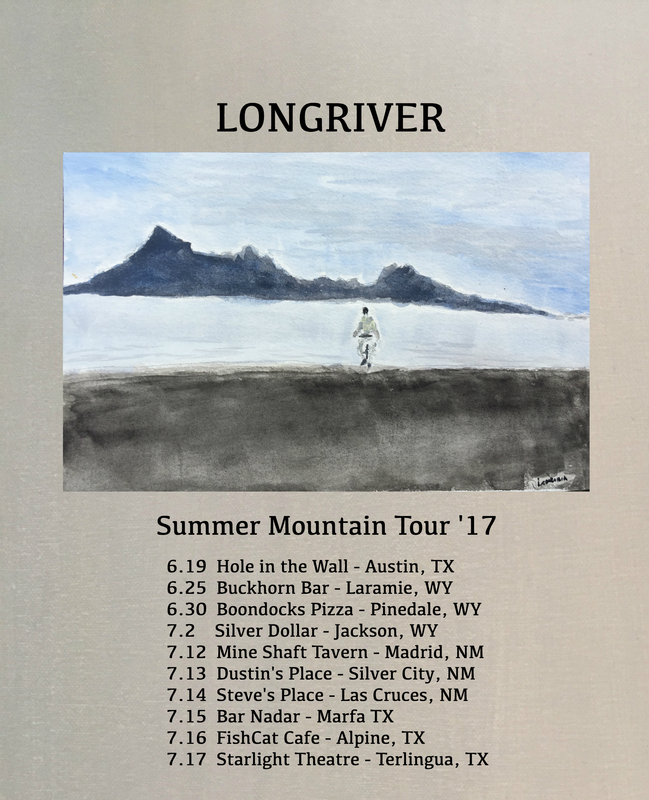 I announce the Summer Mountain Tour ’17! Below is the poster. Share for me please! Every little mention via email, word of mouth, or social media share helps. There may be another date added in New Mexico, and we’ll soon know the location of the Alpine, Texas show. This has been an interesting week. Central Texas is beginning to heat up to the point where it’s difficult to think unless you’re submerged in cold water. Tomorrow, mid-June, the forecast says triple digit temperatures. This heat scatters attention, so I’ll make a scattered list. It includes questions, advice, quotes, random thoughts and is separated by commas: Bob Dylan’s Nobel Lecture, All Quiet on the Western Front compared to Blood Meridian by Cormac McCarthy, Velcro Strips are probably the best for temporarily hanging van curtains, Kurt Cobain used a lot of power chords, neither major or minor, Austin Traffic, Is phone and internet addiction the most common addiction?, placing attention back on the breath all day is a helpful practice, in, out, in((((, out))))), songs are mysterious-some can be so good, the comments section on the internet is a disaster, Gate Gate Paragate Parasamgate Bodhi Svaha, I try to stay away but get sucked in, Pierre Etaix movies are pretty awesome, Le Grande Amour is kind of like The Seven Year Itch by Billy Wilder but more surreal, “What I have here is a canvas, and I am living in it.”- Forrest Bess, the external world is my own projection, just being there has an effect, life is water, death is not bad, life is valuable, money is a kind of energy, energy is energy, compassion throughout the day, this moment springs from mind.